: This is a great new Bass lure, easy to cast, comes with nice oversized hooks, dives to around 4’, comes in two sizes and four colours. It’s double-jointed body means it can be run at very slow speeds and still maintain a very enticing fish catching action, it is also very stable when trolled behind a boat and is a suspender, excellent for working the rock pools and gulleys. : This very popular 6”, 21g diving plug has rapidly made a name for itself over the last couple of seasons. It casts well, runs at between 1.5m and 2m (5’ to 7’) and is relatively inexpensive. 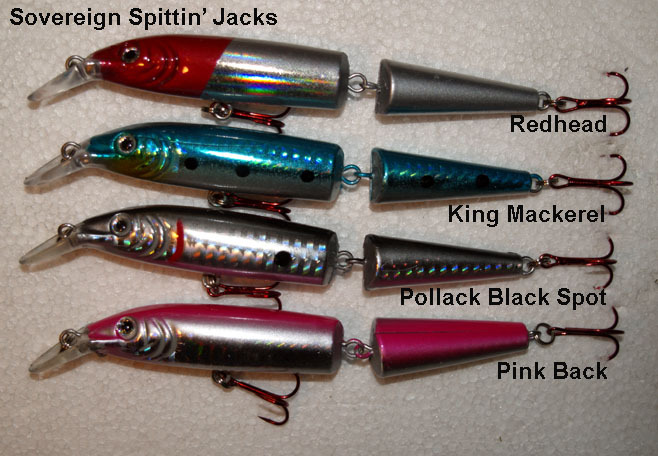 : We have had this lure made in Serbia exclusively for us by the people who make the gagas. It was created for those of you who complain the Ron Thompson Spitting Jack above is both too heavy and too noisy. This lure is slightly smaller in both diameter and length, is approximately 30% lighter weighing in at only 13g and the internal rattles are much smaller beads which give it a higher frequency rattle, therefore the noise travels less distance and is far more subtle. Available initially in 4 colours. 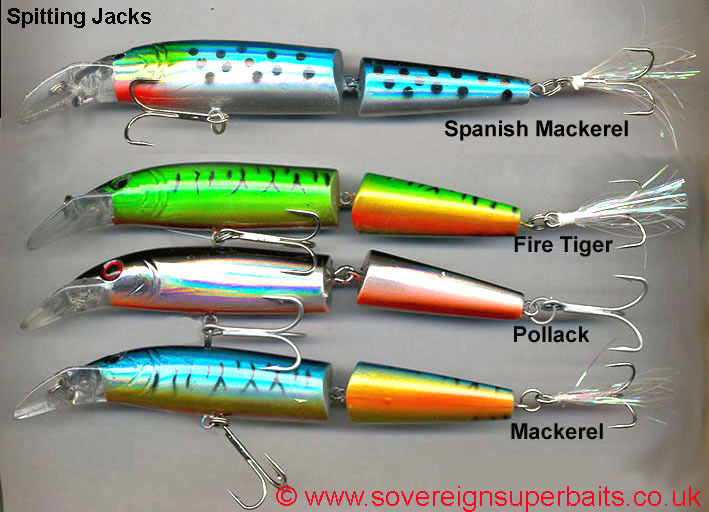 : This is a fantastic little lure we found at an international trade show last year and have been testing all winter (2014 / 2015). This is obviously a hybrid lure with a soft plastic tail and a hard plastic body. The accute diving bill causes this lure to dive quickly to its depth which is around 4'6" / 1.4m on the crank and around 9' / 2.75m on the troll. 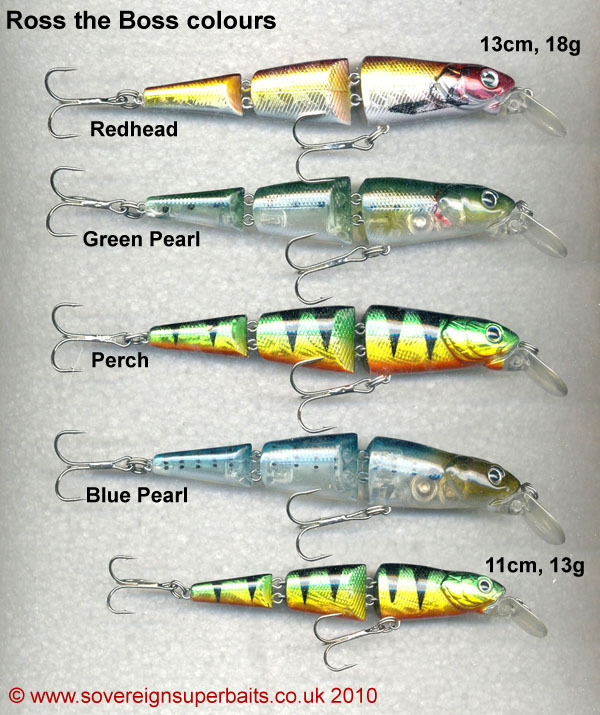 Unlike many of the hybrid lures today these actually come with THREE tails of different colours and different designs. There is a pintail, a fork tail and a paddle tail. From the detailed pictures below you can see how they are easy to change. 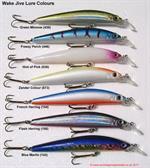 This lure weighs in at 8 1/2g and is 112mm LOA. The hard plastic part is 85mm and the shortest soft plastic tail 27mm. They are furnished with size 8 VMC barbarian trebles in black chrome finish and there is actually a third hookeye right adjacent to the start of the soft plastic tail where you can add a third hook if you wish or move the second hook rearwards. 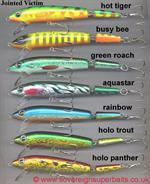 All in all this is a fantastic little lure at the cutting edge of current technology for an incredibly reasonable price. 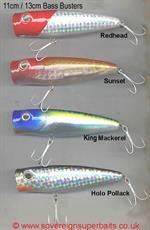 Please note not all lures can be used for Bass but certainly all Bass lures can be used for Pike, Perch and Zander.